We will have our tax experts contact you! 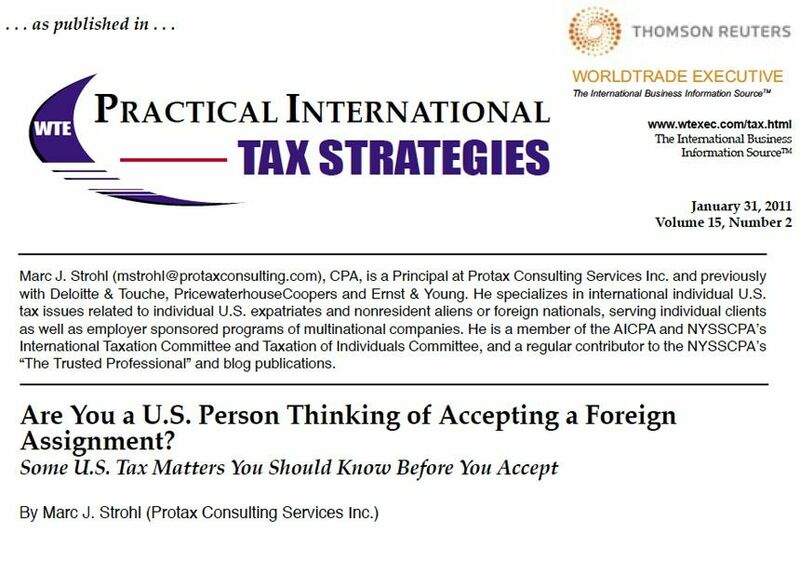 Protax is the world’s leading U.S. individual international tax firm, specializing in the delivery of world class professional services in U.S. 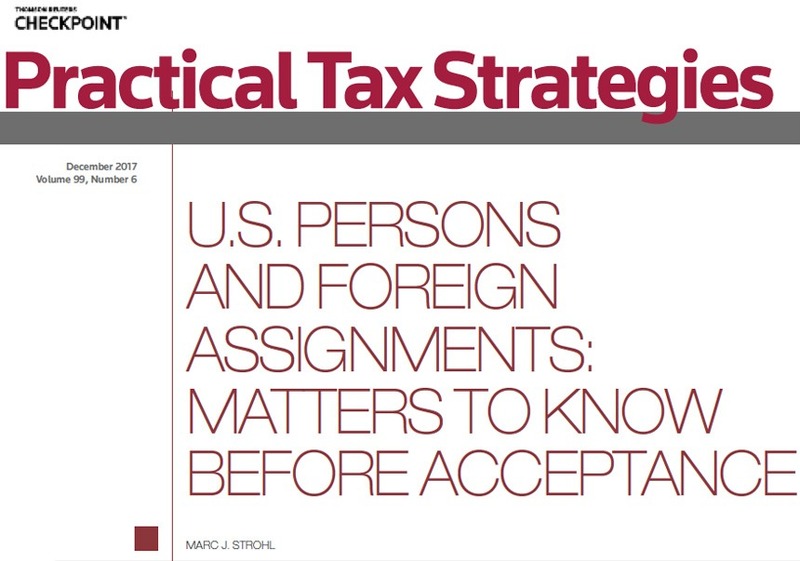 Expatriate tax, Foreign National/ U.S. Nonresident Alien tax and the U.S. taxation of High Net Worth individuals in tax accounting, consulting and compliance-related services. 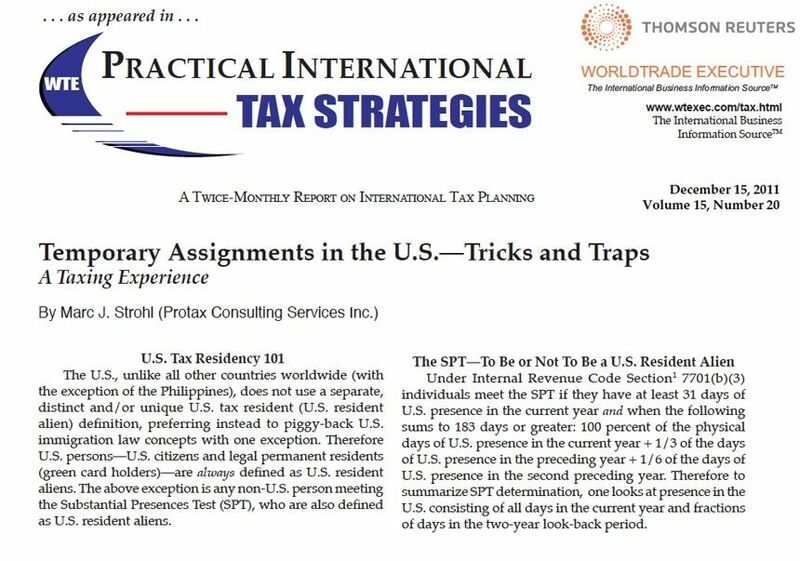 Protax specializes in U.S. expatriate tax services for U.S. citizens and green card holders living and working outside the U.S. We use the Tax Home Test, Bona Fide Residence Test and Physical Presence Test to qualify you for the Foreign Earned Income Exclusion claimed on Form 2555, in addition to the Foreign Tax Credit on Form 1116. Protax specializes in serving foreign nationals / Nonresident Aliens and Resident Alien individuals (non-U.S. citizens or non-green card holders) living and working in the U.S. on a work visa. We analyze the Substantial Presence Test in conjunction with elections to determine if you are required to file Form 1040NR. Protax offers tax accounting and consulting services for High Net Worth Individuals in fields including banking, investments, and many others. Whether a returning U.S. Expat or Naturalized former Foreign National / Nonresident Alien, our clients stay with Protax. Our Services. Our Firm. Our People. Our Resources. 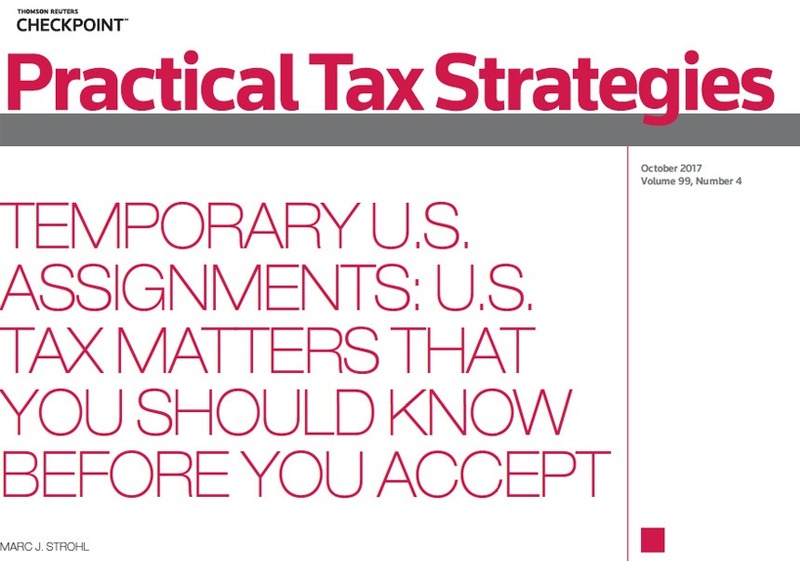 At Protax, we are experts in U.S. Expatriate and Nonresident Alien Tax, with thousands of satisfied clients who found us online and stay with Protax year after year. 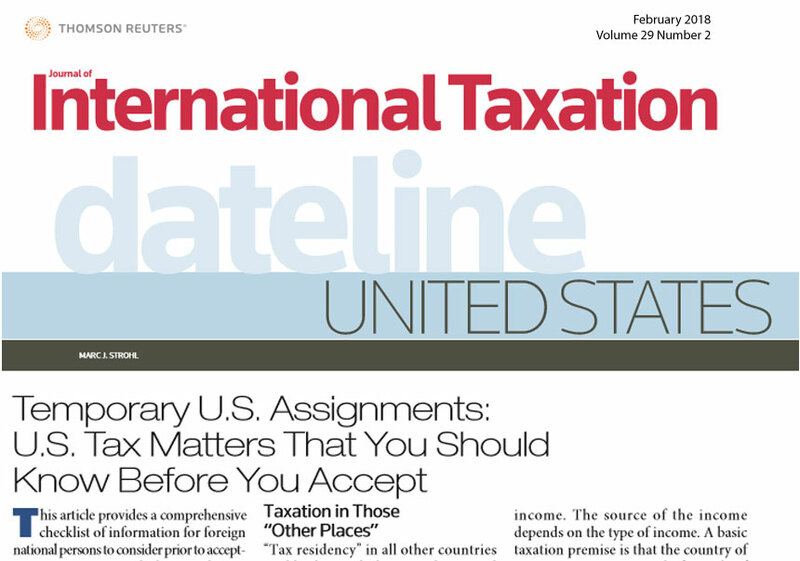 Protax provides access to informative and concise executive-summary tax articles that are world renowned. They’re used by the Big Four to teach their staff and give to clients. Revised and updated annually. Principal Marc J. Strohl, CPA is a regularly featured and quoted contributor to many industry newsletters and publications. Marc J. Strohl, CPA is a frequent lecturer at NYSSCPA meetings and is a guest faculty member for many online courses. Strohl teaches CPE and CLE to CPAs and attorneys worldwide. Protax headquarters are located in Manhattan, New York and operates on a global platform. We provide our clients with tax coverage and services through our AITC membership. Decades of experience have aligned us with firms providing client services in a variety of disciplines, most notably, taxes for expats.